Mark Fell LBPPAThis shows the qualification attained by Mark Fell within the SWPP and associated societies. Mark Fell has an Exhibition here. As a cutting edge photographer, Mark is one of the hottest photographic talents in the South of England. 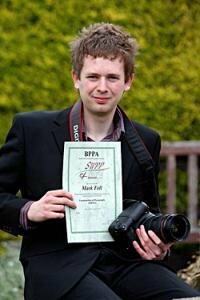 He has four years worth of wedding experience, and at the age of 19 was awarded the distinction LBPPA - one of the youngest in the UK. His candid photography style adds a classy feel to his portfolio, but he can also maintain the traditional photography element of a wedding. Many people love this blend of styles and it has been described as fashionable yet documentary. As a full time photographer, Mark can devote all his time to growing and changing - often aggressively to keep up with today's modern trends. 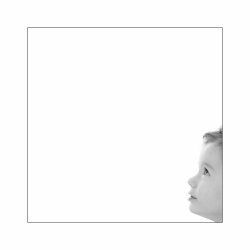 The range of products and albums offered are modern and creative - an aspect which runs throughout his business and photography. Mark is also flexible and able to accommodate midweek weddings or any bespoke requirements. Some of Mark's favourite and most frequently visited venues include the Quality Hotel Andover, the Essebourne Manor Hurstbourne Tarrant, the Grassmere Hotel Salisbury and more recently the Wessex Center at Sparsholt College Stockbridge. However, his work has attracted clients from all over the UK and is more than happy to travel anywhere. Be rest assured - you will not only be stunned by a fun and fresh approach to wedding photography, but a first class personal service to match.